For the past 36 years, Community Hospice has walked along side patients and families as they enter the sunset of life. Founded in a church basement by two volunteer registered nurses, we are the oldest and largest non-profit hospice provider in the San Joaquin Valley. In 2001 the Community Hospice Foundation was started to help Community Hospice meet the evolving needs of the Central Valley. Community Hospice and the Community Hospice Foundation have garnered support to ensure quality patient care during end of life journeys for thousands in our region. We believe everyone in our community has the right to walk their life’s journey with dignity and peace, regardless of ability to pay…this is our promise. In the world of hospice care, there are many choices and Community Hospice stands above the rest. As a local non-profit, reinvesting in our community is a priority for us. We offer continued support to our families beyond their loved ones passing. When the community needs us, we answer the call. According to the Better Business Bureau Wise Giving Alliance, nonprofit organizations should spend at least 65 percent of their total expenses on program activities, with the remaining funds going to administrative and fundraising expenses. 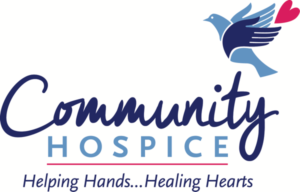 At Community Hospice, we meet and exceed these minimum guidelines with 82 percent of your donation dollars going to patient care, grief services and educating the community. With our entrusted stewardship, your dollars have a maximum impact in our community. We invite you to learn more about how you can support Community Hospice and make a difference in the lives of our community.